Apple today released the first public preview of macOS Sierra, this year's upgrade to the operating system formerly known as OS X. 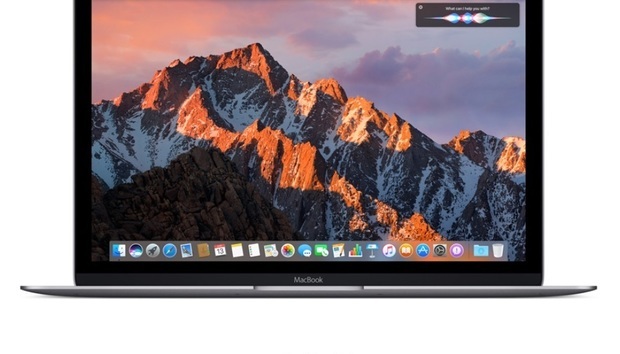 The preview arrived a week earlier than Computerworld's forecast; that prediction was based on the span between the developer unveiling and public beta of last year's OS X El Capitan. This was the third year straight that Apple has made previews available to the general public. The Cupertino, Calif. company restored the beta program in 2014 with OS X Yosemite after 14 years of shunning early code to non-developers. Apple's registered developers were handed Sierra on June 13, the opening day of its annual Worldwide Developers Conference (WWDC). During the same keynote presentation, Apple also rebranded OS X as "macOS," a nod to the nomenclature of its more widespread iOS. macOS Sierra weighed in at about 4.9GB when Computerworld staffers downloaded it Thursday. If Apple follows past practice, public beta testers won't get the same builds as developers, nor on the same cadence. The tempo was relatively slow in 2014, but last year Apple accelerated to as many as three builds in one month. Apple has not spelled out a release date for the production-grade Sierra, but in the last several years it has shipped the final in September or October. In 2015, for example, El Capitan hit the Mac App Store on Sept. 30. The fact that Sierra's preview debuted around the same July date as last year's El Capitan may mean a similar release timetable is in the offing. Or not. Because Apple does not link a Mac operating system upgrade to an event -- as it does with iOS -- it can launch Sierra whenever the code is ready, announcing it with a quick press release. As it did in 2014 and 2015, Apple again warned testers not to spill any secrets. "Don't blog, post screen shots, tweet, or publicly post information about the public beta software, and don't discuss the public beta software with or demonstrate it to others who are not in the Apple Beta Software Program," Apple admonished in a FAQ. The full terms published on Apple's website went even further, stating that "any information concerning the Pre-Release Software (including its nature and existence, features, functionality, and screen shots" was confidential [emphasis added]. It's odd that Apple continued to tell testers this since identically worded warnings the past two years were universally ignored. Mac owners interested in trying Sierra must register with the beta program, then enroll their devices to download the initial preview and subsequent updates from the Mac App Store. Apple urged them to back up their data before installing the preview, and included links in its FAQ to instructions for reverting back to the stable OS X El Capitan.